'Mirrie Dancers' is Shetland Dialect for 'Northern Lights.' 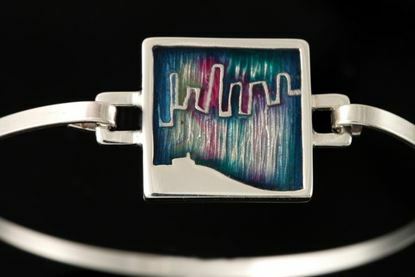 The motif on this bangle measures 19mm and depicts a Shetland croft house scene over hills with the Merrie Dancers in the sky. 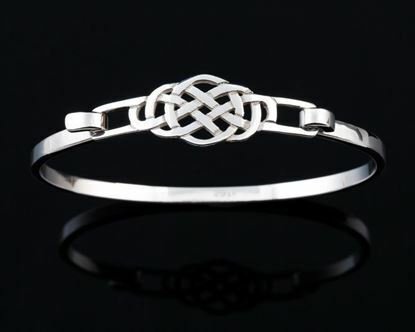 Celtic Bangle is approx. 60 mm in diameter. 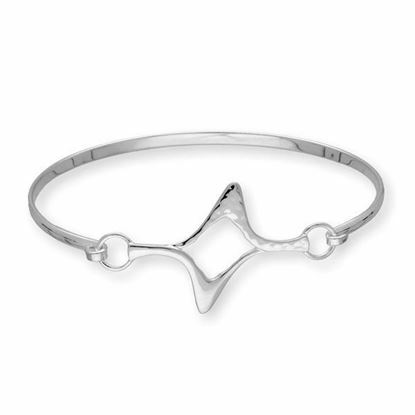 Eye-catching bold designs crafted in a mix of Polished, Sandblasted and Hammered Silver. 'Mirrie Dancers' is Shetland Dialect for 'Northern Lights.' 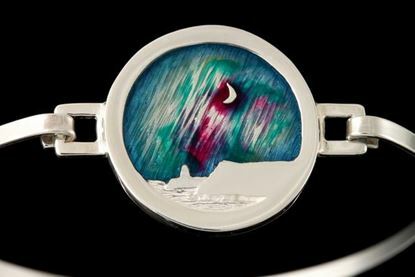 The motif on this bangle measures 19mm and depicts a Shetland lighthouse and cliff scene over the sea with the Merrie Dancers in the sky. 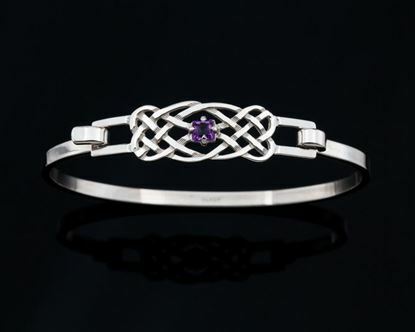 Celtic Amethyst Bangle, set with a facetted purple amethyst, is approx. 60 mm in diameter. 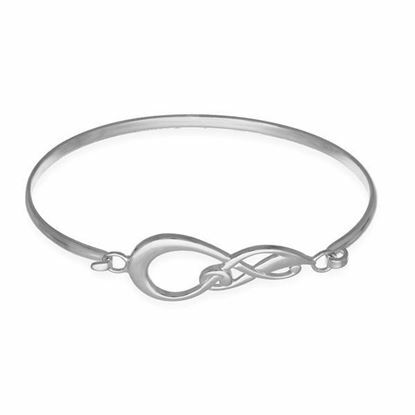 Flowing lines of polished silver reminiscent of the Arts & Crafts style.